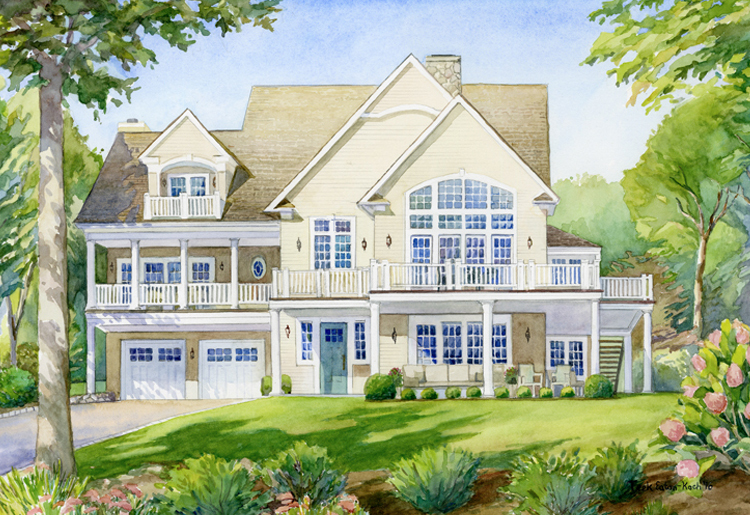 For a personalized gift or memory that can be treasured by the whole family, a watercolor rendering of your residence is a great choice. Unlike other artists, I carefully consider the time of day and lighting to make sure the home or apartment is bright and well lit when it's painted. Each client's personal requests are discussed at the start of the project and a pencil draft to scale is submitted for review before the final watercolor is painted. All watercolors are painted on quality Arches paper from France. Pricing is based on the size of the house and the level of detail, please contact me with a photo of the residence so I can give you a quote.